Let the countdown officially begin today, dear family and friends. For in just 365 days, the wedding that our family has been impatiently awaiting since Bush 43 is finally happening. Nestled in a brewery in the Blue Ridge Mountains of Virginia, another family will join ours and I will now have my third son. The plans are moving forward: the venue and photographer have been chosen, and we will meet with a florist next weekend. A cake tasting has been done, and next month, we will shop for the dress. Unfortunately, we did not anticipate that the state of Virginia would cause us some anxiety because their laws regarding acceptable officiants is not as liberal as the state of New Jersey. As you all know, our last family wedding was performed by Reverend Cousin Chris, who was able to get ordained via the Internet. Internet ordinations are not recognized in the Commonwealth of Virginia, so the plans for two very dear friends of the bride and groom to seal the deal need to be altered. With the help of a family friend who practices law in Virginia, we were given our options: The happy couple can hire a local officiant, get married ahead of the festivities in their more open-minded state, or we can sue the state of Virginia. Although we all thought the third option could be fun, the bride and groom-to-be rejected it and are now deciding what to do. I have a fourth choice, although I believe the likelihood of my idea happening is somewhere between slim to none. As we all know, Casey would think she had died and gone to heaven if her number 1 most admired person in her world performed the ceremony. 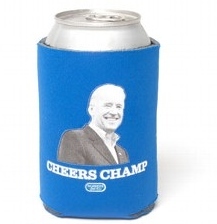 That, of course, is the man on her favorite koozie—Joe Biden. He either could come to Virginia, or a small group of us could meet him somewhere near his home in Delaware, which is not far from where the mother-of-the groom lives. What are your thoughts, kids? Is this not a fabulous idea? 1. What was your wedding like? 2. What kind of party did you have after the wedding and who came? Your father didn’t tell me about converting to the Catholic religion. It was a surprise to me. He went through the process in Texas before we were married. He had been baptized at St. Cyril’s in Boonton because there was no Russian church in the area. So that made it easy for him. I was surprised because keeping a secret was something he wasn’t good at. 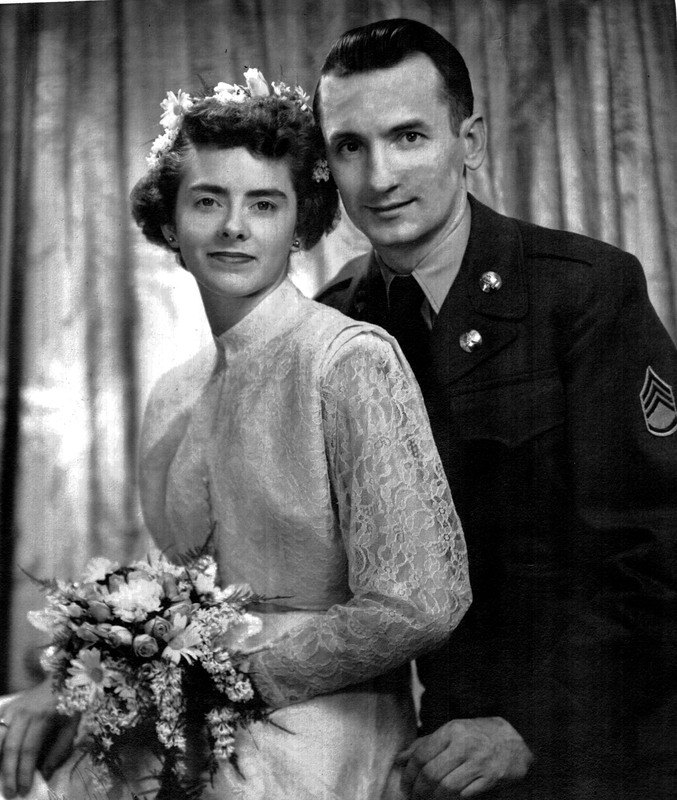 Our wedding was very small, fortunately, because he didn’t know when he could get home. We had immediate families only. Small ceremony, no mass, at 11 a.m., Mt. Carmel. His brother didn’t like the time so he didn’t come. He gave me a lot of grief over the time. We had dinner in Denville—a place your father and I liked. It was very nice. We went back to the Birch Street house for wedding cake. I remember my mother writing out a check for the dinner. It was under $100. We went away for the night and left for Texas the next day. 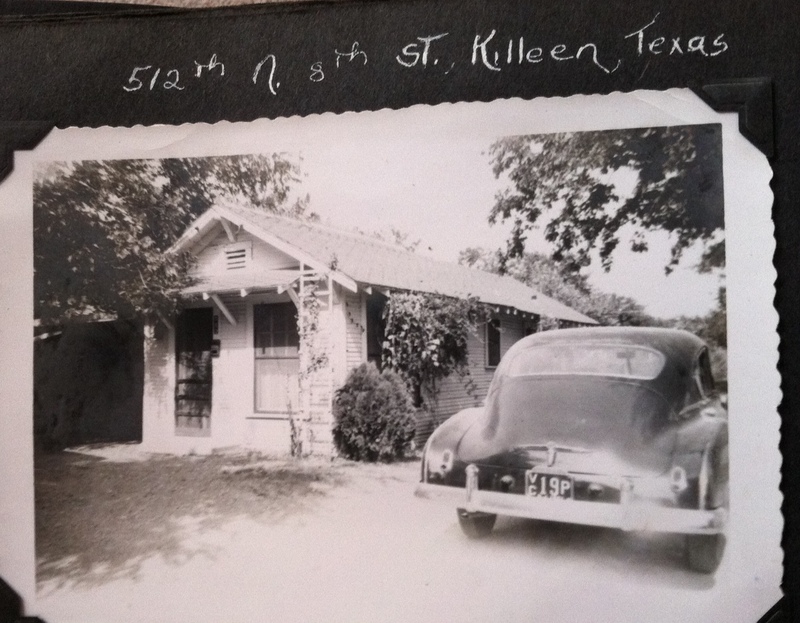 So fifty-seven years later, here I am. This is it for now. Grandma wore a yellow dress for the occasion. 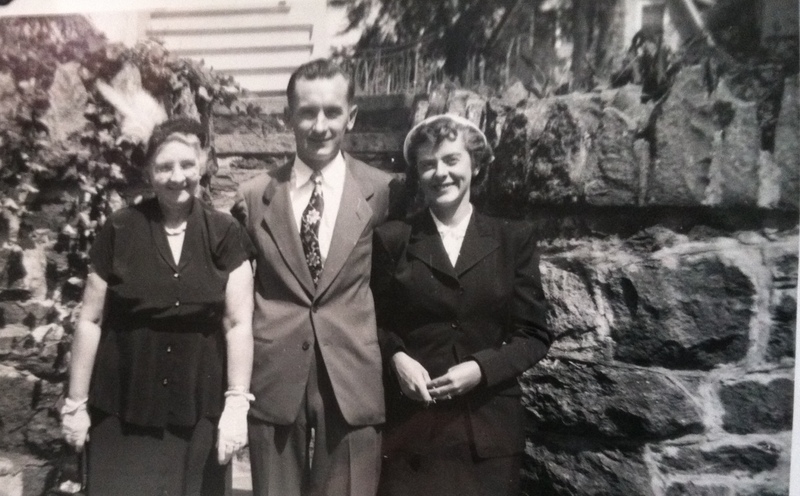 Although all her siblings had more traditional ceremonies, with big wedding parties and traditional wedding gowns, I think that was really what Grandma wanted. She never liked big fusses made over her. That has always been her way. I am surprised at my Uncle Pete. After all they went through trying to become a family again, and all the effort Grandpa made at getting him back from Russia, I feel it was a slap in the face for him to complain at all about the wedding. He should have kept his mouth shut and came with a smile on his face. I do not understand Grandpa’s family.